Gasper Grendall is a long running client of Atlantic East Marketing. This company plays by the “Quality = Premium Pricing” thought pattern when it comes to it’s men’s clothing line. 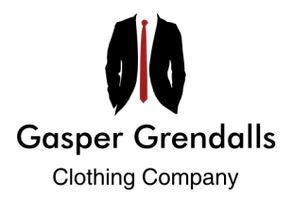 Gaspers specializes in low volume high retail styling that brings together both intimate knowledge of whats hot for the season with what will be hot next season. Watch for this great company. They are on the verge of breaking into the mainstream! We want to hear your vision. Send us an email and we'll get back to you, asap. List some information for us about your project and some simple goals. This will help us have the correct person contact you. © 2019 · Atlantic East Marketing.